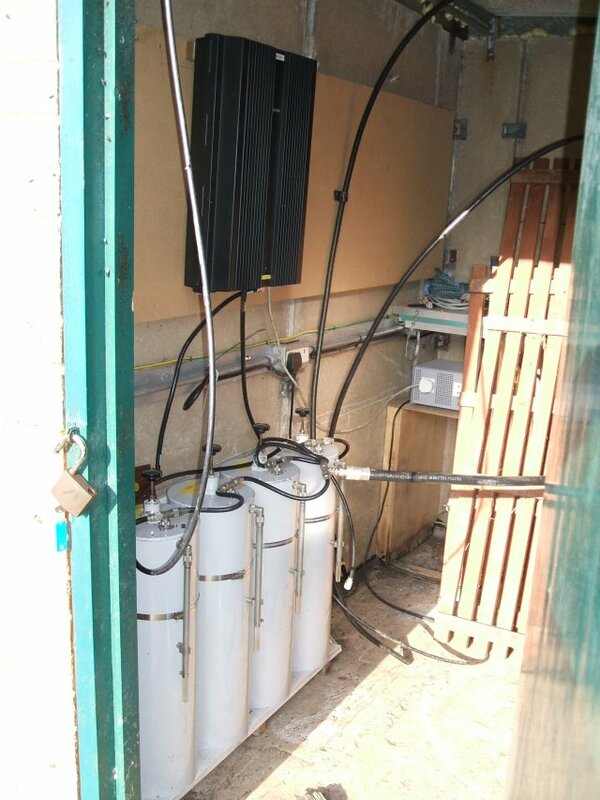 During July / August 2006, GB3CS underwent a major overhaul of its antenna system in a bid to eliminate some intermittent crackle problems which have plagued the repeater for a considerable time. 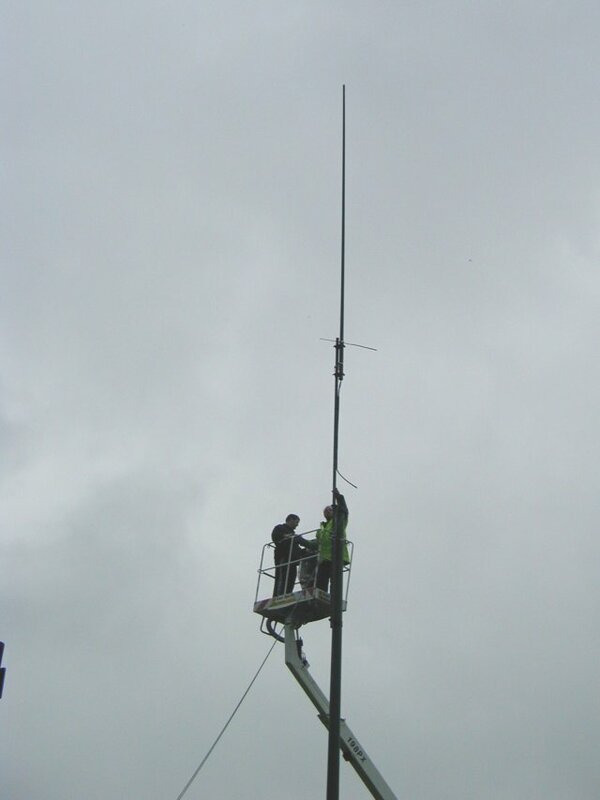 The Antennas were removed from the mast and replaced with a New commercial co-linear fed with LDF550 Heliax. At the same time the stub mast was lowered in an attempt to reduce the flexing which was the possible cause of the previous problems.